Our Boston car accident lawyers understand the importance of arguing for jury instructions helpful to the plaintiff’s case. In Reis v. Volvo Cars of North America, as reported in the New York State Law Reporting Bureau, the court applied a standard of care instruction applicable to malpractice cases in a products liability action. In Reis, the plaintiff was looking at a 15-year-old car that had recently been bought by a friend. The plaintiff was examining the engine with the hood raised when his friend asked him if he would like to see what the engine looks like when it is running. The friend then started the engine while the car was in a forward gear. This car had an older style manual transmission that did not require the car to be in neutral when started. When the car was started in what was probably first gear, it lurched forward and crushed the plaintiff between the front bumper and a wall. As a result of being crushed by the car, the plaintiff had severe damage to his leg, and that leg was eventually amputated. 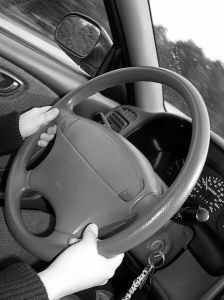 The plaintiff sued to recover compensation for his personal injury under a theory of negligence – specifically, that the defendant car manufacturer knew or should have known that the car was likely to lurch forward when started in gear and should have included an ignition interlock to prevent this from occurring. According to court records, other car companies had been putting ignition interlocks on their manual transmission vehicles in 1987. The ignition interlock device, which is on stick shift cars made today, requires that the clutch pedal be depressed before the car is started. In case you are not familiar with driving a manual transmission vehicle, stepping on the clutch disengages the transmission and puts the car in neutral. If you do not step on the clutch when turning the key, the car will not start. The plaintiff further claimed that the defendant should have properly warned drivers of this danger, because they chose not use an ignition interlock device. This is known as a failure to adequately warn in products liability cases; whereas, not using the ignition interlock is considered a defective design products liability claim. Both types of claims can be part of a negligence case. In Massachusetts, plaintiffs may be afforded additional statutory protection in the form of Chapter 93A of the General Laws that provide for treble damages in certain cases. In Reis, when it came time to instruct the jury prior to deliberations, the court chose to use the standard jury instruction for the specialized duty of care in malpractice cases. This instruction essentially said that those who perform a professional service, such as lawyers, doctors, and caregivers, owe a duty of care to act as a reasonable and prudent specialist in that particular field. In other words, an orthodontist owes a duty when treating patients to act as a reasonable and prudent orthodontist to prevent injury to the patient. In this case, the trial court instructed the jury that the defendant’s duty of care was increased due to the specialized knowledge possessed by a car manufacturer. The court of appeals reversed this and ordered a new trial.